Zebrawood first came to the western world in 1773 when the British customs registered 180 pieces of this wood imported from the Central American Mosquito coast, from the region of present-day Nicaragua & Honduras. Its exotic, striped pattern immediately made it highly sought-after among cabinetmakers and the wood has maintained its popularity to the present day. The striped pattern of the wood resembles zebra stripes and is due to the fact that the annual rings of the wood have a strong color variation from a yellowish pale brown to almost pitch black. The wood has earned its name from this feature. 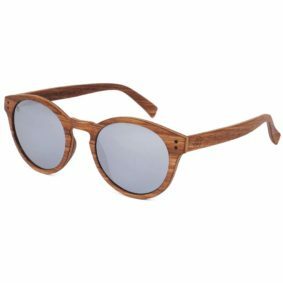 Zebrawood is heavy and rigid, making it an excellent choice for wooden sunglasses: the glasses won’t easily warp or break. 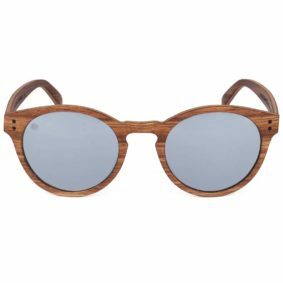 Moreover, the exotic zebra-like pattern makes your wooden sunglasses stand out from the crowd. If this sounds like you, zebrawood is your choice.